Take a good look at the beautiful architecture of the Auschwitz Reception Building (Aufnahmegebaude). 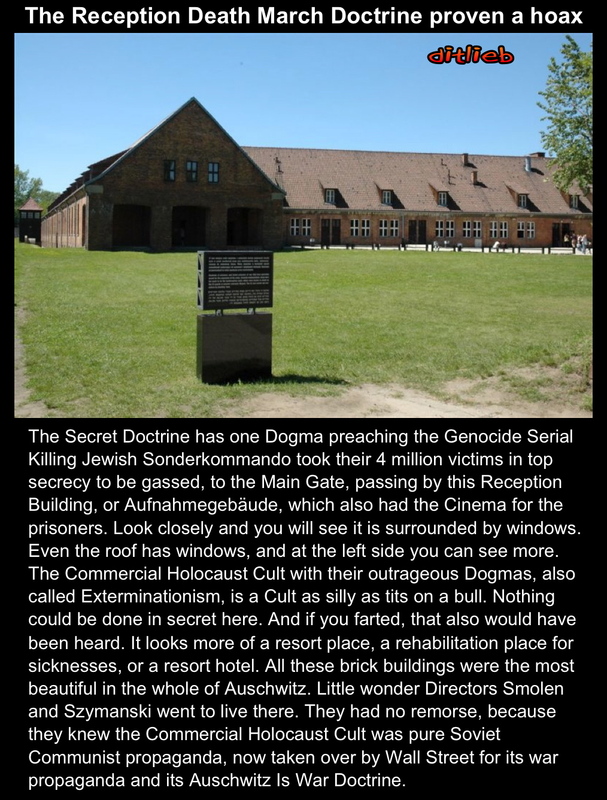 Why would the Germans have bothered building such a beautiful building if the intention was to make Auschwitz a center for killing? And look at all its windows. The Secret Doctrine becomes the Doctrine of the mad ones by just seeing this visual, undeniable fact.